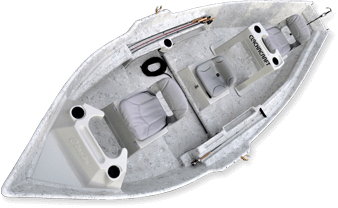 Most boat models can be custom built with a 45QT or 65QT Yeti cooler in place of the front dry box. Additionally, removable front and rear dry boxes are available for those who require interchangeable seat configurations. Please contact your sales representative (or email us at [email protected]) to discuss options and production capabilities.